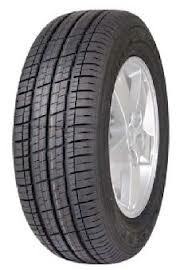 Sunitrac tyres are produced in China as a budget entry into the tyre market. 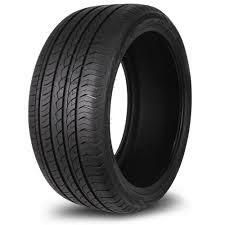 Although a budget tyre the performance does not represent the price tag. With positive reviews in dry and wet conditions these tyres are definitely an option when it comes to making your tyre selection. WIth a Product range of tyres catering for Light vans and passenger cars there reputation has grown from strength to strength. Sunitrac F4000 tyres are a fantastic choice that offers excellent performance, great comfort, high levels of safety and even better longevity. The balance found with these options makes them suitable for any driver, and because they are designed for use in all seasons, you know they can handle any weather conditions you might face. The F4000 tyres are excellent value that really stands out against many rival brands and products so don’t miss out on your chance to use these tyres. 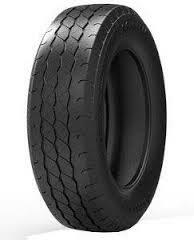 Choose F9000 tyres from Sunitrac to make sure you get the best tyres possible. Using the latest technology, you’ll get unbelievable levels of traction and stability to make every journey more enjoyable no matter what conditions you may face. High wear resistance makes F9000 tyres incredible value that will last for a long time and produce consistent levels of performance on every journey. With reduced road noise and increased water dispersion, you won’t regret choosing Sunitrac F9000 tyres. Finding the right tyres for your van doesn’t have to be difficult if you choose Sunitrac’s FocusVanII options. With an exceptionally high resistance to wear, you can enjoy great performance and stability on every journey while the extra weight from any goods or loads will not adversely affect the performance or durability of your tyres. With a comfortable ride provided as standard, FocusVanII tyres are a great choice that will prove to be great value. S2000 tyres provide great balance of comfort and performance on every journey that make them an appealing choice for any driver. Dealing with wet and dry conditions with ease, you’ll benefit from great traction and stability on every journey that allows you to really enjoy your driving and have confidence that you will always be in control. With great levels of durability and reliability, these Sunitrac tyres are built to last and will prove to be great value to you over their lifespan, so don’t miss out on S2000 tyres.